West Portal isn’t typically known as a foodie destination, but Roti is an exception. 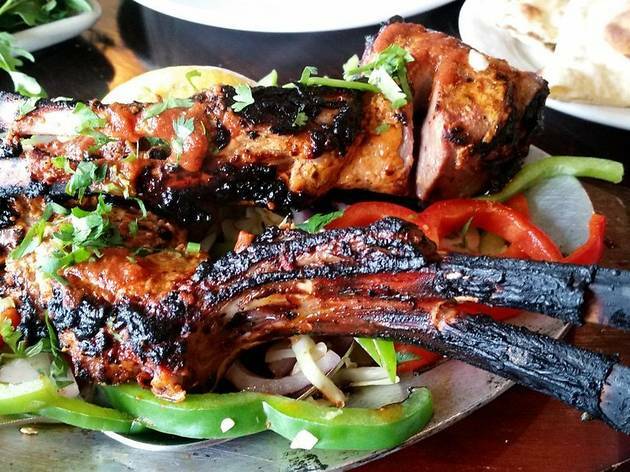 The spot prides itself on its attention to detail, from the homemade garam masala (they toast and grind whole coriander, cumin, cinnamon, cloves, cardamom and more by hand) to the daily-baked bread basket overflowing with onion kulcha, garlic and basil naan and tandoori roti. The seasonally rotating menu is sourced from local suppliers, like lamb delivered from Half Moon Bay. 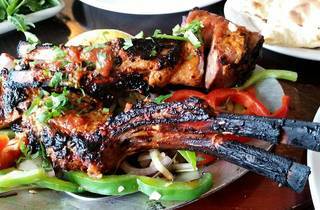 One sometime-special was such a hit that it earned a place on the permanent menu: the tandoori game hen, which is marinated with garlic, ginger, cumin, coriander, chili, spices and yogurt, then skewered and roasted in the mesquite tandoori oven.